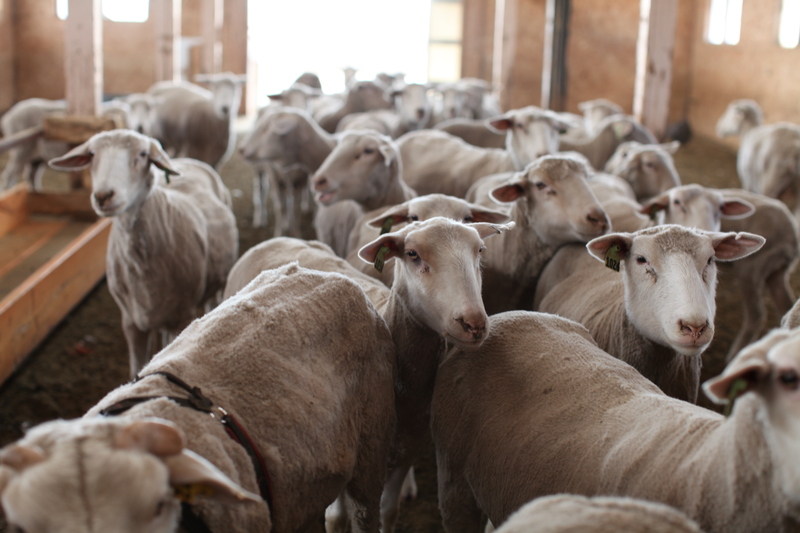 These are the curious ladies of Fruition Farms, the 35 original ewes (with a ram for good measure) that represent one of the few sheep’s milk farms in Colorado. On Friday I met up with Chef Alex Seidel, of Fruition restaurant in Denver, who graciously invited me out to show me around his farm. His story is a pretty remarkable one. Just last year he was named one of the 10 new best chefs by Food and Wine magazine. Beyond his knack with cuisine, he’s doing something pretty special. He’s showing the world what farm to table really means. You see more and more restaurants sourcing locally but you see few that go to the extent Alex has in handling both sides of the equation himself. Alex explained they got into artisanal sheep’s milk cheese making because everyone was doing goat’s milk here in Colorado; it was something different. He also appreciated that sheep’s milk has much higher fat content in the milk which makes better cheese. Having the palate Alex and the other chefs he’s partnered up with have puts them in a unique position in terms of making cheese. They know what they’re looking for and can take it into account when making decisions on feed and how that impacts the final product. Their operation is pretty impressive. They re-vamped all of the buildings on the property themselves and built a lot of the structures needed for milking which Alex walked me through. He humbly brushes off the compliments when you admire just how much work that is on top of running a restaurant. It is a devoted group of people. 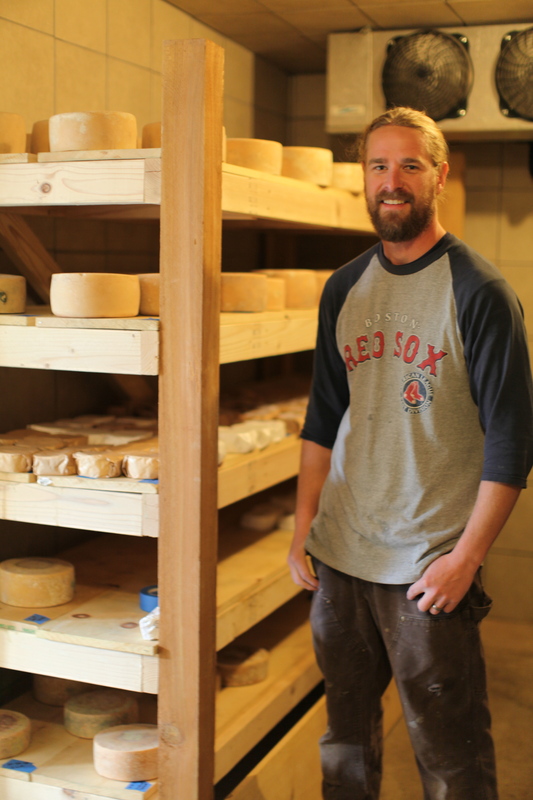 After an overview of the farm, Alex took me to meet Jimmy Warren, shepherd and cheese maker of Fruition Farms. I immediately liked him because he’s a Red Sox fan. He was the sous chef at Fruition restaurant and after attending a dairy symposium with Alex decided to invest and move over to working at the farm full time. 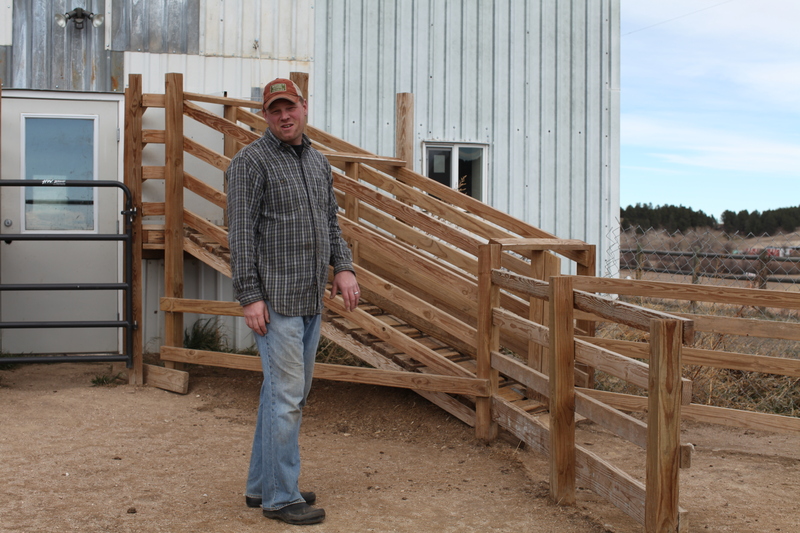 He spent a few months on an established farm learning sheep farming to get started. While he doesn’t have a formal background in husbandry or cheese making, it only takes a few minutes with him to see he is a jack of all trades who gets in and figures things out by learning and doing firsthand. He’s not afraid to fail and keep at it until he gets closer to what he wants. Jimmy was in the process of making “Shepherd’s Halo”, one of his experiments. If he was looking for redemption for something then he’s found it in this cheese. It is just a deliciously creamy, well-balanced cheese. I liked that it was not too strong or salty. He gave me an overview of his cheese making process while we waited for the curd to set. We even talked a bit about beer brewing since he also brews the beer on the farm. He approved my setup from last week and talked about where I could go with it. He also offered to teach me welding and how to put up dry wall for my blog. 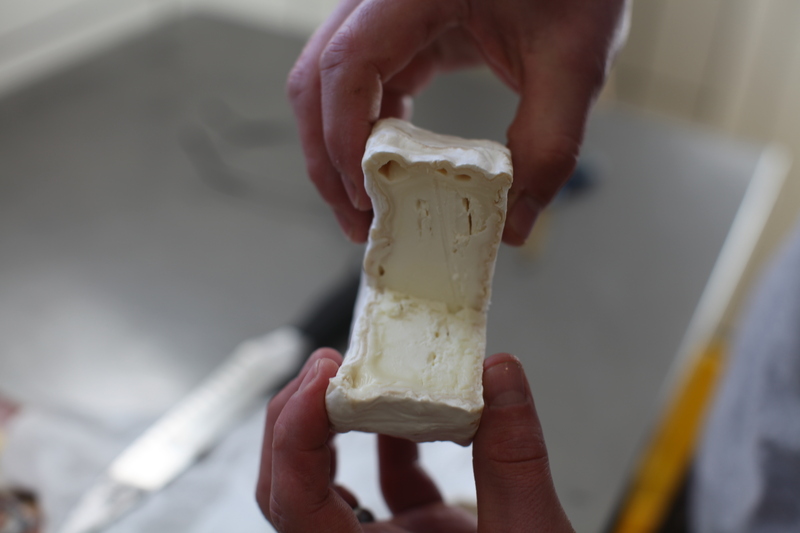 We got back to cheese making and he showed me what the consistency of the curd should look like when it’s ready. This is where it really helps to watch someone who already knows what they’re doing. It should have a nice break and not leave too much residue on your fingers. 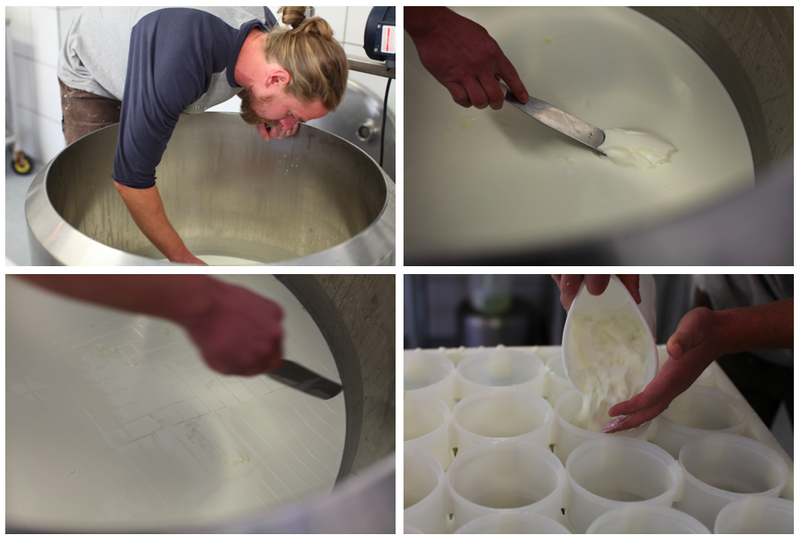 He then cut the curd to release the whey by cutting it into 3/4″ cubes. By cutting it into chunks of equal size it ensures the whey will release at similar rates per curd. It also creates a better consistency in texture throughout the cheese. The moulds sit to drain overnight to start the process of becoming more rounds of delicious “Shepherd’s Halo”. At this point it came out that in my own cheese making the curd was improperly set based on my description. My glee from the science fair-like nature of instant coagulation I described sounded wrong to Jimmy’s ears. This troubled Jimmy and I think he couldn’t bear the thought of cheese week ending without a properly made cheese. He sent me home with a camembert recipe, culture and moulds which I will be experimenting with this afternoon. I promised to return the moulds (those things are not cheap!). He even insisted I call him so he could be there to answer any questions. I drove away from Fruition Farms in a bit of a dream state. I went in search of cheese making knowledge and left with a glimpse at a pretty admirable way of life. I got a sense for why people fall in love with an endeavor like this. It’s hard to put into words but there is a simplicity and an intention to make good and to see how you fare with your common sense and own two hands in living up to it. This is an awesome 2011 version of Reading Rainbow where Levar Burton (from Star Trek) takes you out to the farm. Great story. I don’t eat cheese much anymore, but I think I would eat something that was made right in front of me because it would feel more immediately natural. Sounds like folks in Denver are extremely nice, too, that he would just let you borrow a mould, etc… or maybe I’ve been in the DC area too long. Title: Coming versus Going… hmmm. Off topic, but…. wouldn’t that be an interesting pick-up line, for a guy to say that he has a background in husbandry. You are currently reading Going to Fruition at 52 To Do.